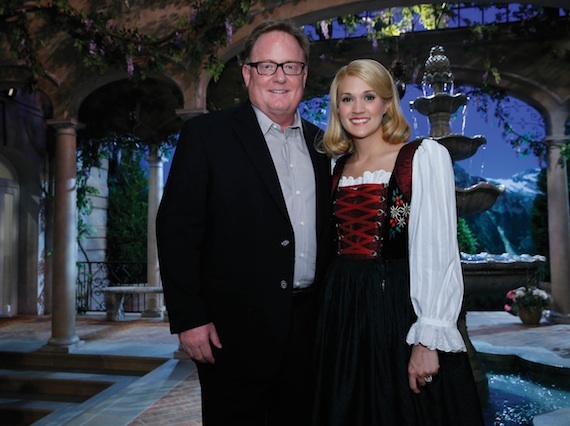 Gary Overton, Chairman and CEO of Sony Music Nashville, visited Carrie Underwood on the set of The Sound of Music Live! at Grumman Studio on Long Island. Pictured (L-R): Gary Overton, Chairman & CEO, Sony Music Nashville; and Underwood. Songwriter Jason Sellers (who co-wrote Joe Nichols‘ “Sunny and 75”) stopped by the Red Bow Records office to offer a No. 1 congratulations gift to the label’s radio promotions team. Sellers had promised to give the ladies of Red Bow a new car if the song went No. 1. He delivered. 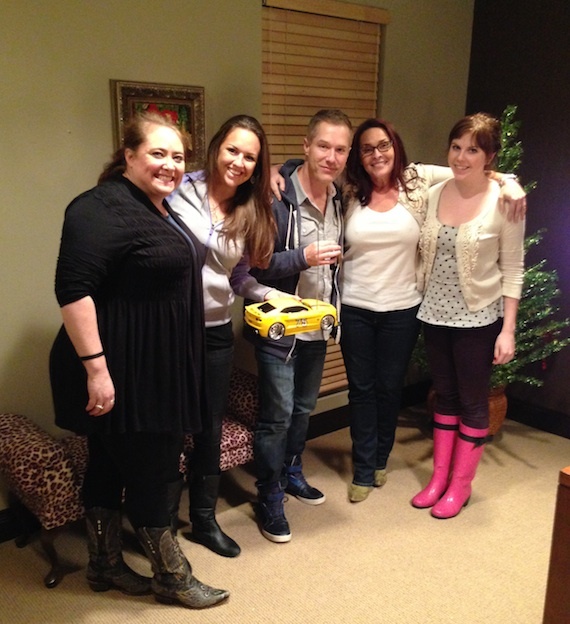 Pictured (L-R): Red Bow Records’ Shelley Hargis and Hilary Hoover; Jason Sellers; RED BOW Records’ Renee Leymon and Caitlin Gordon. 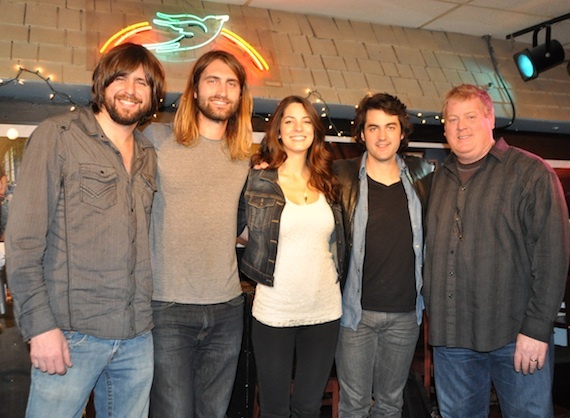 ASCAP‘s final showcase of 2013 was held on Wednesday, Dec. 4 and featured up-and-coming Nashville songwriters Morgan Leigh, Little Big Town guitarist Johnny Duke, UMPG songwriter Ryan Hurd and Josh Matheny performing in the round at Nashville’s Bluebird Cafe. Pictured (L-R): Josh Matheny, Ryan Hurd, Morgan Leigh, Johnny Duke and ASCAP’s Mike Sistad. Photo: ASCAP’s Alison Toczylowski.